Looks like AMD France accidentally and/or unintentionally published some info about the Ryzen Threadripper 2990WX’s benchmark score on their site. It was discovered by Guru3d’s forum member HWgeek and later Guru3D published a small article about this scoop. It seems that particular page from AMD France was already taken down. But on that page, there’s a note detailing AMD’s test methodology for their flagship Threadripper 2990WX processor, the system that they used and the benchmark score they got when they tested the CPU with Cinebench R15. Check out more details below. Tests performed by AMD Performance laboratories on 26/06/2018 on the following system. The configurations may vary by PC manufacturer, and give different results. The results may vary depending on the driver versions used. Test setup: sTR4 motherboard with AMD “Whitehaven” socket X399 + AMD Ryzen ™ Threadripper ™ 2990WX + Gigabyte X299 AORUS Gaming 9 + Intel Core i9-7980XE. Both systems feature a GeForce GTX 1080 graphics card (driver 24.21.13.9793), 4 x 8 GB DDR4-3200, Windows 10 x64 Pro (RS3), Samsung 850 Pro SSD. “Power” is defined as computing power as represented by the Cinebench R15 processor benchmark. The Intel Core i9-7980XE earned 3,335.2 points on average in the benchmark, while the AMD Ryzen ™ Threadripper ™ 2990WX achieved an average of 5,099.3, or (5,099.3 / 3,335.2 = 153%) 53% faster than the Intel Core i9-7980XE. RP2-1. Basically, AMD tested the Ryzen Threadripper 2990WX with a sTR4 X399 motherboard; while the Intel Core i9-7980XE was tested on a Gigabyte X299 Aorus Gaming 9 motherboard. The rest of the specs like graphics card, memory, storage and operating system where similar. The Ryzen Threadripper 2990WX got a score of 5,099 in Cinebench R15, while the Core i9-7980XE only got 3,335. That’s almost 53% increase, and it’s a significant performance gap between the two flagship processors. Cinebench R15 is just one of the many benchmark software that we can use to gauge the performance of a CPU. But it generally shows how fast a CPU can go, especially in multi-threaded workloads. On top of that, the Intel Core i9-7980XE was launched with a retail price of $1,999; current retail/street price is just short of $100 USD from MSRP. Meanwhile, the new Ryzen Threadripper 2990WX is reported to be priced at just around $1799 USD. It’s cheaper than Intel’s current flagship offering and it performs ~50% faster (at least in Cinebench). Looks like Intel’s Extreme Edition may be “extremely in trouble” when Threadripper 2 is finally released. We will see unboxings and reviews show up in the following days to come when the embargo is lifted. Meanwhile, below is a specifications table of the new Ryzen Threadripper 2 and 1st gen Ryzen Threadripper. 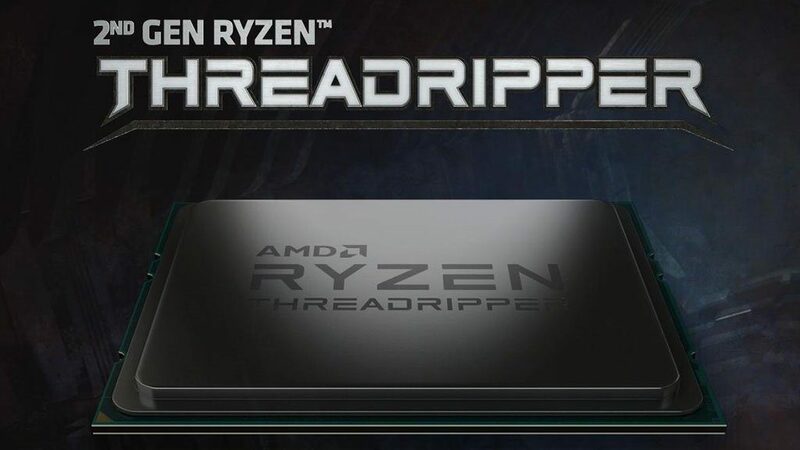 The data regarding the Threadripper 2 are not official yet and are just based on “leaked” information and reports.